For every church, no matter if it’s big, small or medium sized, there is at least one person in charge of managing the financial and accounting activities. The way of managing the accounting activities in a church is different compared to the one in business or industrial institutions because the functioning of a church is different, the financial sources that create the accounting fund entries and outputs are different. The person responsible with handling the financial activities in a church knows that a robust and complex accounting software is crucial for making the accountability tasks easier and more precise. But acquiring a complex software involves relatively high costs. Such software are usually found in packages including not only software for accounting but also other programs necessary for a proper management of the church (members, groups, sermons, etc..). For large churches, the funds for acquiring a software package or a complex accounting program are not generally a problem. A smaller church generally has fewer funds, a fairly limited budget and so not always can afford to purchase a complex accounting software. The best option for these churches would be to download a version of a free accounting software package from the internet, as there are many financial software solutions available made by developers who only want to make a good deed without expecting anything in return. When selecting accounting software for the church, the person who decides what to buy should be able to clearly define the requirements for the software, should know exactly what is needed. Church accounting software is responsible for managing financial matters, should automatically record accounts payable and accounts receivable, manage salaries for the church staff, record contributions, donations, tithes and financial aidss. The selected accounting software must also provide the possibility of performing the annual accounting audit, and make the appropriate records readily available in case of an audit. Accounting software must be able to export the data into a spreadsheet which can then be printed, and a database which will continue to grow over time, providing a complete and precise overview of all the data you ever stored. Another desired feature is the possibility of recording the finances resulting from fund raising and tithes. People can donate goods or services which can then be sold by the church. People who donate money or goods are likely to want these to be deducted from their tax, which means that the church must be able to send tax letters referring to donations. Data recorded by the church shouldn’t be viewed by unauthorized persons, as this is the type of information that parishioners would not want to make public. A reliable software package should also provide security for data stored in the financial records at least with a password protection and ideally with data encryption. Accounting software used by churches must also provide a way of reporting, because this is the most visible activity in a ministry, allowing administrators to establish precisely the evolution of the church over the past months or years. 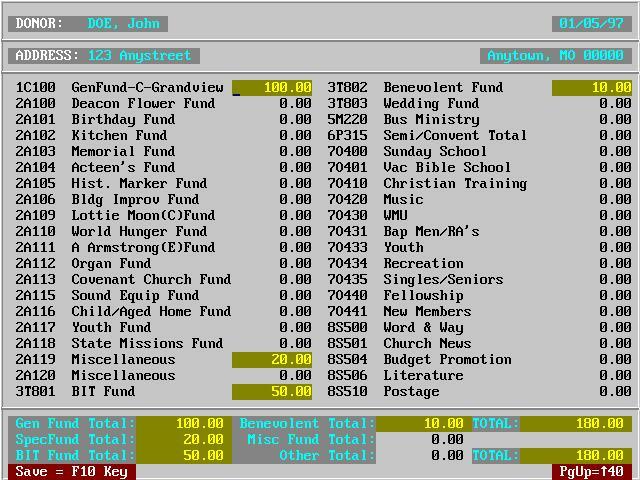 Also, by using accounting software, by making financial reports and then presenting them to the parishioners, church leaders earn show the community members that their donations in money or goods are put to a correct use. 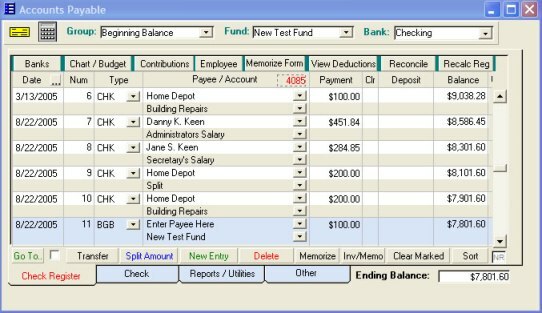 There are various types of accounting software programs designed especially for churches which can be downloaded and used free of charge. We will present some of them in the following paragraphs. - Control contributions and payments from church members and non-members for all the types of funds you create. Lets users view reports of contributions for specific dates or selected periods of time. Provides annual IRS reports for parishioners and mailing labels so that reports can be sent by email at the end of the year to meet IRS requirements. Users are told the minimum contribution amount so if IRS specifications change, they can still meet the new requirements. Contributions are completely integrated with individual pledges. - Control pledges by parishioners for any type of fund you may set up and track the fulfilled or unfulfilled amount for each individual. The software updates automatically the fulfilled and unfulfilled pledge balance for each individual when a contribution is made. A Contribution Pledge Fund Summary report lets users view how much has been fulfilled and unfulfilled for each fund. - The software has an integrated security system that allows you to control user access and permissions from within the program itself. Download is available at http://shareme.com/download/church-basics-member.html. 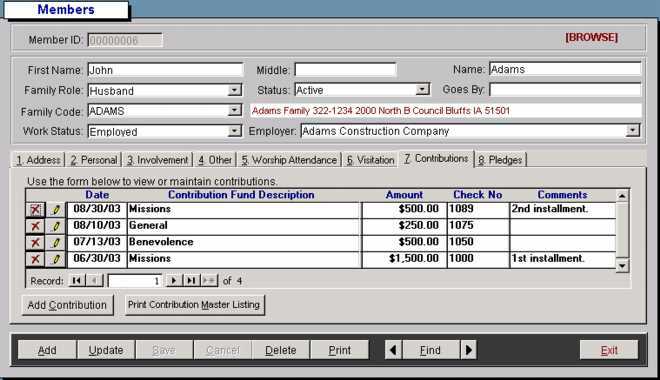 CONCORD (CONtributions reCORD) software allows you to enter weekly member contributions and to generate quarterly, semi-annual, and annual statements. It is a stand alone application, but can also automatically retrieve records from the CHDB database found in the related program, CHDB. CHDB is a complete church membership database program which lets users name and define over 60 ministry and committee codes and generate preset reports. Both programs can be downloaded at http://www.kcbaptist.org/free_church_software.htm. Church Records 2.0 for Churches lets users keep track of their members and their finances. A report can be printed out for each member so that they can report it o their taxes, since all contributions made to a church are tax deductible. If you are a novice in using this type of applications, it is a good idea to read the “Help” and “Help Contents” before starting to use it. Download the software here.